What does that brush do? 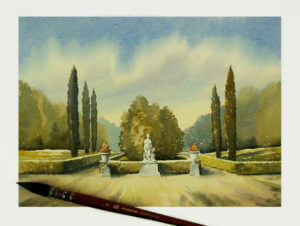 Fine artist, teacher, and author, Vladimir London, shares tips for using our Neptune Synthetic Squirrel Brush. 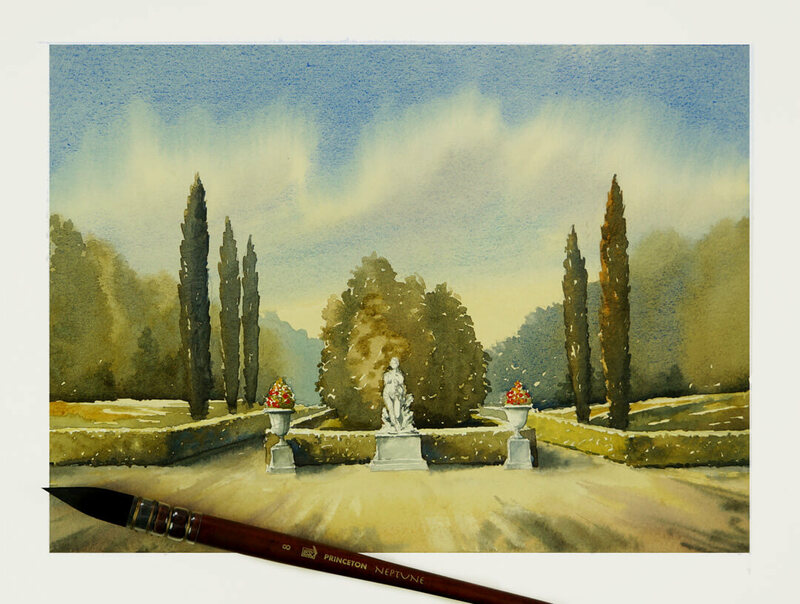 “When it comes to painting plein air in watercolor, this is the must-have brush. 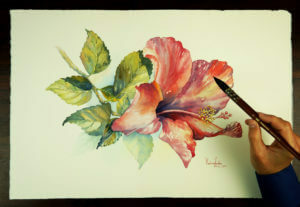 The size 8 brush is suitable for full-sheet or half-sheet watercolor paper format; the size 6 can be used for smaller artworks. This brush is a great replacement for natural squirrel. It takes a lot of paint and releases it readily when required. 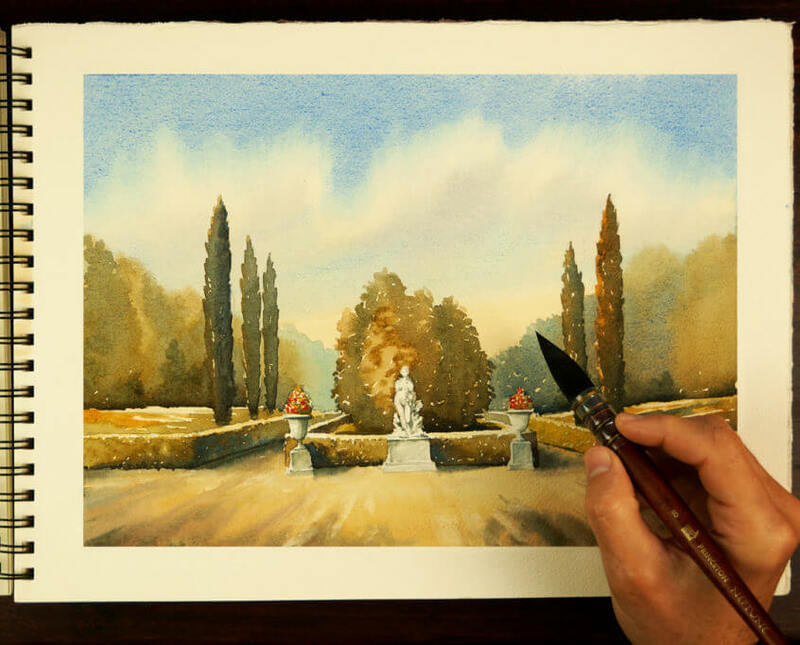 The pointed tip can be used for very detailed work, while its full belly is capable of producing wide brush strokes, covering big areas of an artwork with ease. Vladimir London’s work can be found on his website at vladimirlondon.com and his Instagram page. 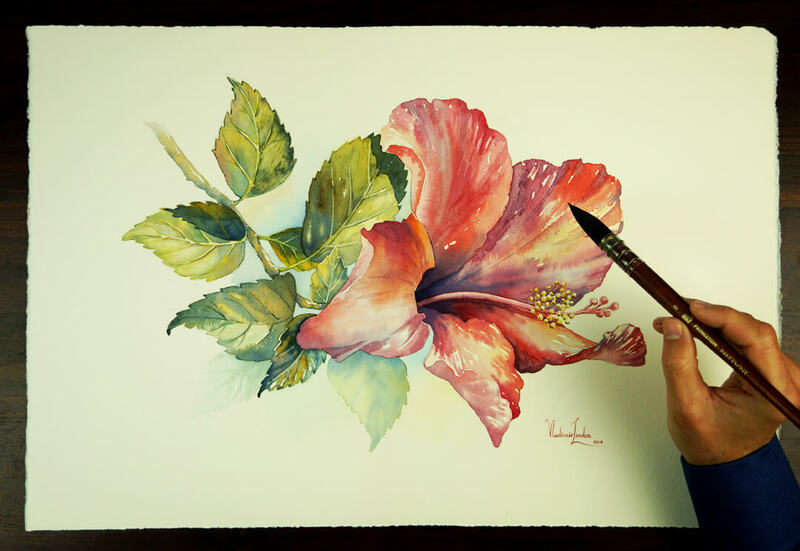 Copyright 2019 © Princeton Artist Brush Co.
Sign up now to receive our newsletters featuring talented artists, tutorials, news and more!